Among many others, internet of things (IoT) or Industrial Internet of Things (IIoT) is only one technology that will bring about a lot of transformation in 2018. With all the advancements, the relation between the internet of things and an industrial internet of things is getting narrower. According to the survey, there will be nearly 20 billion devices connected to the IoT by 2010. Companies are dedicating significant resources to the IoT sector. 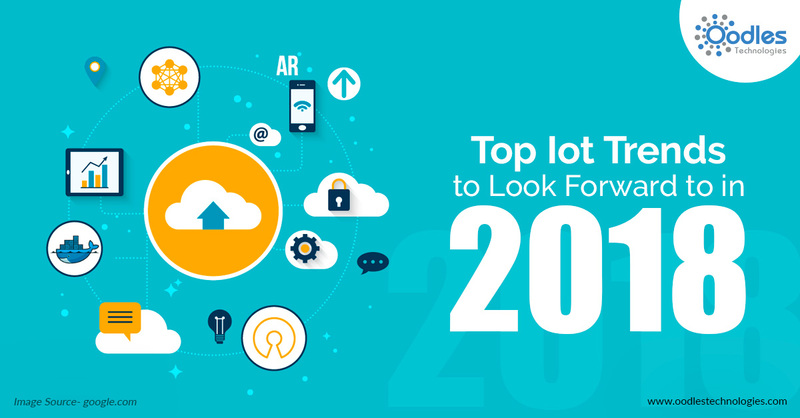 Following are few IoT trends to watch in 2018. More and more devices are now getting connected to the IoT which leads to the increase of data. This increases the risk of cybersecurity. Thus the security related to the connected devices has become the major concern now. There is a need to remove all the cyberattacks that take place through public as well as private networks. Currently, the security is not provided to all the IoT devices like laptops, PCs etc. But in 2018, the main task of the IoT system is to look for the security of the data and devices. There is a great opportunity for the Artificial Intelligence and Machine Learning in the IoT sector. AI is used in almost all new apps and devices. The data is growing day by day as more customers are getting connected to the IoT devices. This leads to increase in data processing and analyzing. The whole idea is to get the relevant data from the big data through big data techniques. The improvement in the overall AI field has helped the developers to get the relationship between the data. Healthcare sector has been affected the most by the IoT and in the coming years, you will see more improvements in the healthcare sector. Not only that, the improvements will be seen in the medical equipment, health instruments, wearable devices etc. The growth of IoT will not only improve the condition of doctors but also the patients. These are some of the trends that will dominate the IoT ecosystem in this year. The internet of things as well as the industrial internet of things will see a lot of improvements with more people connecting to the connected devices. However, currently the very small amount of it is used but this is changing now.